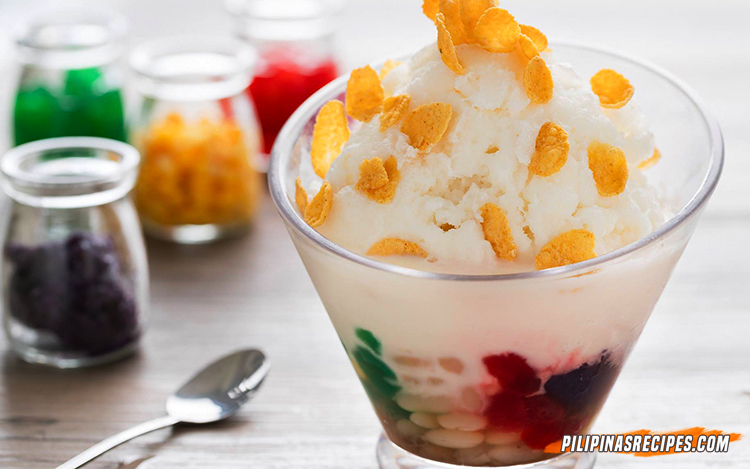 The word “haluhalo” or Halo-Halo can translate to something that’s been mixed together like this halo-halo dessert. 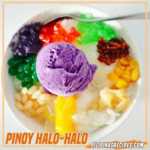 The Halo-Halo Recipe is truly a Pinoy dessert which contains shaved ice, evaporated milk, sugar or some syrup, sweet beans, sweet banana, nata de coco, garbanzos, jelly, macapuno, sago, gulaman, sweet jackfruit, ube halaya and leche flan although it doesn’t necessarily mean you need to have all ingredients to make it but the shaved ice, evaporated milk and sugar needs to be there all the time. 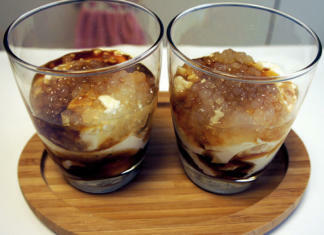 This is the best way to do it if you want to know how to make Halo-Halo. Halo-Halo is usually served in tall glasses or bowls because there are way too many ingredients for small servings, unlike Mais Con Yelo. 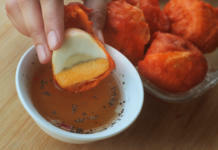 This Pinoy favorite is also popular among international tv stars that feature various foods like Chef Anthony who described it as being “oddly beautiful” on his Twitter account when he tasted Jollibee’s version in Los Angeles, California. 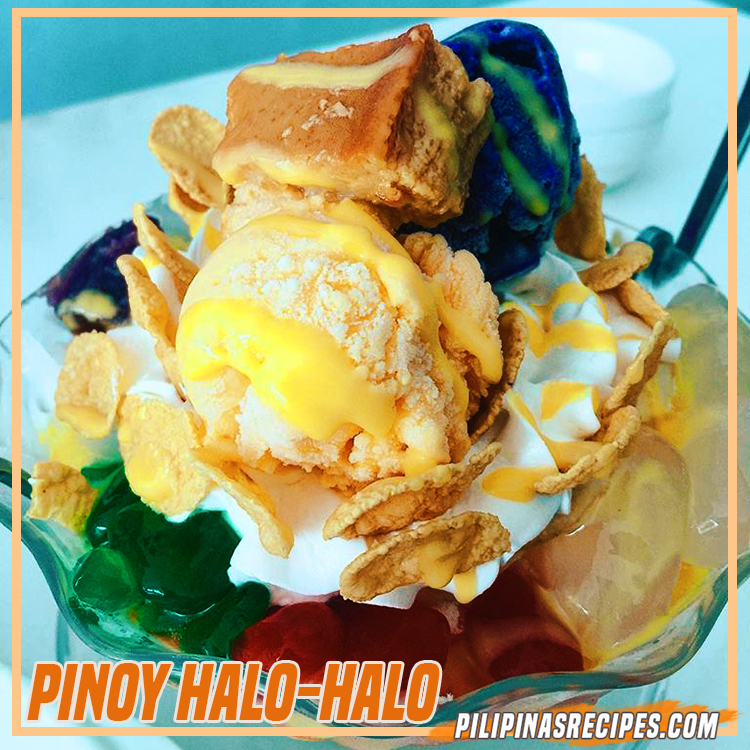 An episode of Bizarre Foods featured Halo-Halo and it was also the dessert when Filipino contestant from Top Chef, Dale Talde prepared it for the judges. 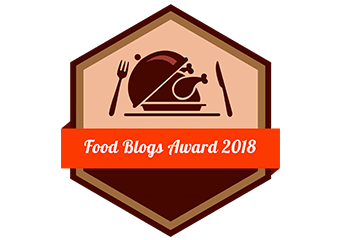 But the best thing will still be to know how to make halo-halo at home because you get to control which ingredients you want to use and how much of it is going to your servings. Okay, so how to make Halo-Halo The first thing you need to make sure if you’ve got all your ingredients prepared. Some folks buy their sweets ready to be put in the dessert but some like to prepare it themselves but if you’re cooking all your sweets by yourself then be ready that it takes time since you’ll be cooking them separately like the sweetened bananas, beans and jackfruit which needs to be cooked in sugar syrup that’s why others just buy the bottled ones although preparing your sweets from scratch result to better tasting Halo-Halo. Put the one-half cup of shaved ice to each glass. 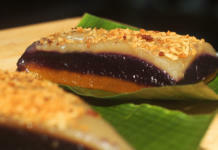 This video shows another way of preparing halo halo. 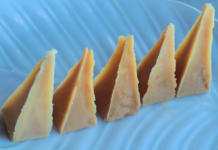 Add more ingredients like Ice Cream, Leche Flan, Corn Flakes to make it more delicious. Enjoy! Many people who aren’t familiar with this sweet concoction would think that halo-halo is only good during the summer but it’s just as good during colder days. With a dessert this sweet and tasty, you’d definitely want to come back for seconds and thirds but as always making your own halo-halo from scratch is always better than buying from restaurants because not only are you able to make many servings as you can, you also save money by preparing it at home. 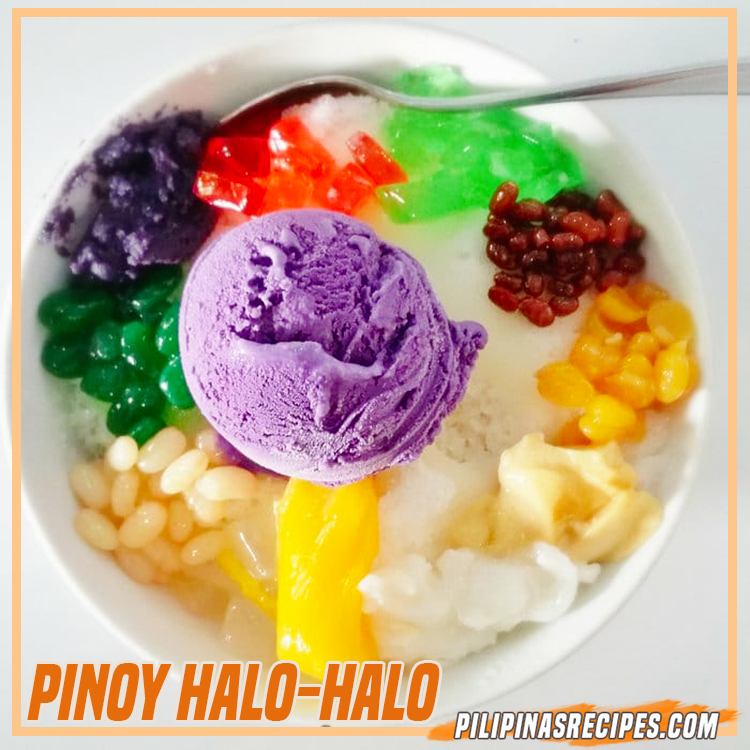 If you want to know how to make Halo-Halo, just follow this recipe.